Negotiations between the US and the Taliban are set to continue later this month with a new round of talks planned. This marks a significant shift from a longstanding policy of never negotiating with terrorists. The talks demonstrate that political solutions are needed to end political conflicts. Democratic governments have historically de-escalated a number of conflicts through negotiations with terrorist actors, including the Irish Republican Army, the Basque ETA and the FARC in Colombia. A RAND study has found that 43% of terrorist campaigns ended through some kind of negotiation. As terrorism in the Asia–Pacific increases, the time is right to consider such an approach. The region has a long history of terrorist activity, mainly by groups seeking independence from post-colonial centralised governments. 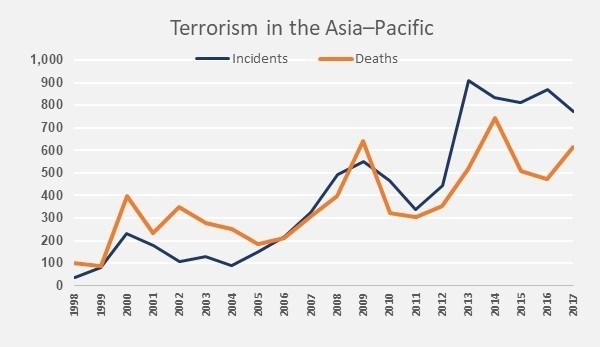 While global deaths from terrorism fell by 27% in the past year, they rose by 30% in the Asia–Pacific. The increase has been centred in three countries: the Philippines, Myanmar and Thailand have together experienced nearly 4,000 attacks over the past five years (see figure below). This rise has broadly corresponded with the expansion of transnational terrorist franchises, such as al-Qaeda and Islamic State, into the region. Those organisations have provided local groups with funding and material support while integrating their conflicts into the struggle for a global pan-Islamic caliphate. IS, in particular, has demonstrated an exceptional capacity to mobilise disparate local movements under its banner of jihad. In 2016, a video featured militants from Malaysia, Indonesia and the Philippines pledging allegiance to the group. 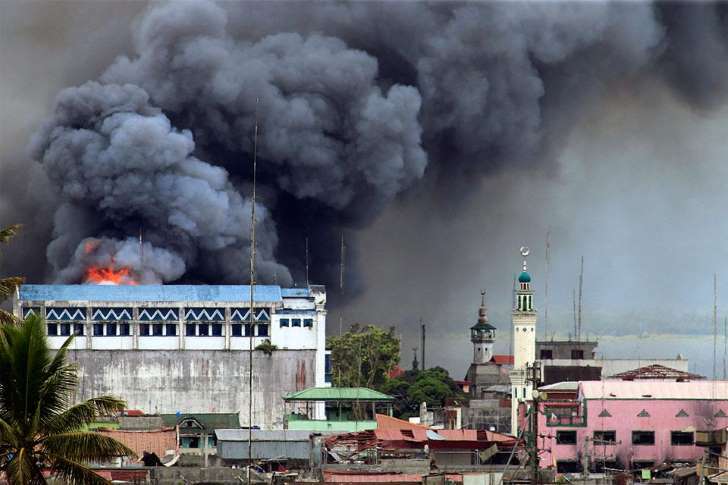 A year later, IS-affiliated and -trained militants captured the city of Marawi in the Philippines. In the ensuing battle, 603 Filipino soldiers were killed. 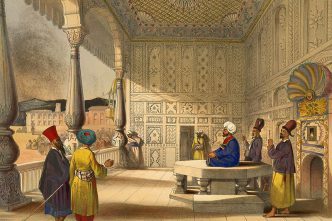 The involvement of absolutist religious elements makes these groups difficult to eliminate. Because religious combatants see their cause as having transcendental significance, they’re unlikely to negotiate a political solution. Tactics employed by these groups, such as using women and children as suicide bombers and beheading prisoners, can further entrench conflict. As IS faces territorial decline in the Middle East, it is deploying more resources and fighters to what it considers its East Asia province. That shift poses a significant risk for countries that are dealing with ongoing regional conflicts. It also reinforces the regional influence of an actor that has shown the will and capacity to harm Australians. Separatist terrorist groups use violence to push for autonomous control over their regions. State violence to counter terrorism can also lead to greater support for the terrorist groups, furthering conflict. Terrorist groups generally look to abandon violence if they’re in military retreat, they perceive themselves to be in a good negotiating position, or they are given enough incentives to negotiate. Increasing internationalisation of conflicts changes the incentives to negotiate for both parties. Local groups risk their separatist and nationalist goals being subsumed into or competing with the agenda of international terrorist franchises. Affiliation with IS or al-Qaeda may also hamper open dialogue with government. Groups may be more willing to compromise so that their political objectives are at least partially met. There are also changed incentives for governments, which may be more willing to compromise to prevent international groups from gaining footholds. This has already happened. 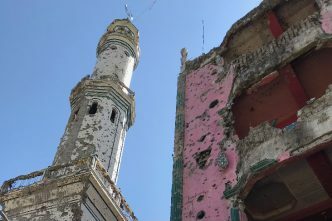 A recent peace deal in Bangsamoro in the southern Philippines brokered by Malaysia came about in part because of a fear of local groups aligning with IS. Australia has an active and ongoing interest in the stability of the Asia–Pacific. It is currently promoting peacebuilding in Myanmar and peace and security initiatives in the Philippines. 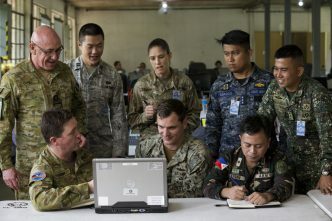 Examples include expenditure of $52.6 million on Operation Augury in the Philippines and $24 million on conflict resolution efforts in Marawi. Further expenditure is planned to promote stability in the Philippines, including $90 million on childhood education in conflict-affected areas. Australia could expand on this contribution by adopting the role of a good-faith mediator between states and local terrorist groups. In the short term, Australia can support the conditions needed to bring all parties to the negotiating table. This includes promoting confidence-building measures, such as weapons hand-ins or releases of political prisoners. 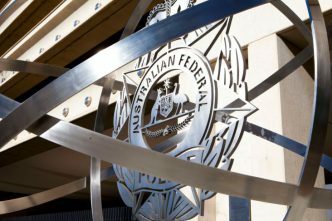 Australia can also share its domestic experiences and expertise to reduce the risk of internationalisation of terrorist groups. 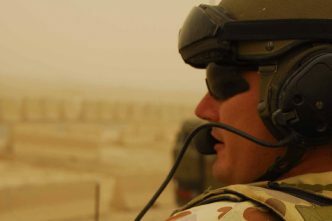 Greater resources and cooperation will help to reduce access to terrorist propaganda and prevent fighters from travelling to conflict zones in the Asia–Pacific. Murray Ackman is a research fellow at the Institute for Economics and Peace. The author would like to thank Nicolas Johnston, a research assistant at the institute, for his contributions to this article. Image courtesy of Mark Jhomel on Wikimedia Commons.